I kept a tight lid on this one for a while, because people always seem to misunderstand it when I tell them- but I have a whole blog post to clarify, so ha! I am not afraid of pictures of sharks. I am not afraid of videos of sharks. I am just afraid of actual, tangible sharks. Nope, don’t like ’em. Don’t want to swim with ’em, don’t even want to be within visual range of one. 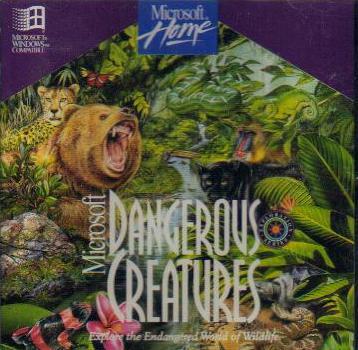 Before someone blames Jaws, it was totally Dangerous Creatures, the best CD ROM ever, paired with my overactive 1995 child imagination (and I think a couple James Bond movies may have helped me along as well.) Honestly though, as irrational fears go I don’t think sharks are too bad. It’s rarely an issue. Aquariums are actually pretty cool since they usually have the sharks in a tank separate from the other, less shark-like aquatic life. http://i.imgur.com/M1eQm. Seen at Union Station today, avoid the area! If that weren’t such an obvious shop it might actually make me feel slightly uncomfortable. I may or may not own that on DVD. They’re making a sequel, eh? You wouldn’t happen to own a Razer headset, would you? Darn. I can’t make a crack about that. That made me laugh so hard. I love his expression in the last panel… and that shark as well. It’s hard to argue with your reasons when you have such amusing pictures. I’m afraid of images of sharks, not ones at the aquarium. Opposites? By the way, I’ve been reading through your archive, and I’m really enjoying it. Garak is still the best DS9 character though.